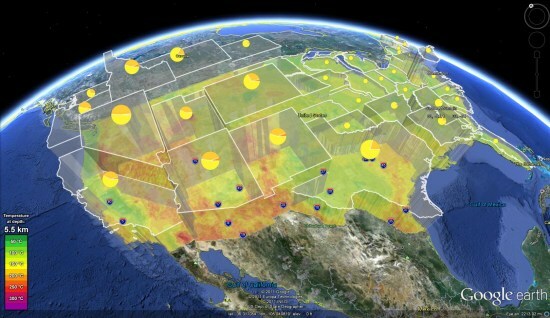 Google Earth has announced an improved data set for geothermal energy in the US, also pointing to this article in Forbes - Enhanced Geothermal Systems in Google Earth. Back in 2008, Frank wrote about how Google.org was using Google Earth to visualize Geothermal Data in the United States. To see this data for yourself in Google Earth, simply load this KMZ file (which was last updated just a few days ago). Also worth your time is this short article in Forbes that talks a bit more about how EGS could benefit all of us.